A concert or an album can unlock another world if you let it. 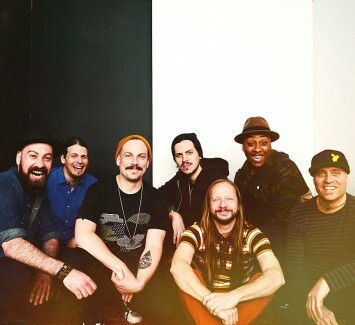 The Motet respect and revere this time-honored phenomenon. Fusing fiery funk, simmering soul, and improvisational inventiveness, the Denver, CO seven-piece—Lyle Divinsky [vocals], Dave Watts [drums], Joey Porter [keyboards], Garrett Sayers [bass], Ryan Jalbert [guitar], Parris Fleming [trumpet], and Drew Sayers [saxophone]—have continually provided an escape for listeners over the course of seven full-length albums since 1998, including their latest release Totem and with an upcoming 2019 release. That extends to countless sold-out shows and festivals everywhere from Bonnaroo, Electric Forest, and Summer Camp to All Good Music Festival and High Sierra Music Festival as well as 16 consecutive years of themed Halloween concerts. Special Guest DJ Cochon de Lait will perform house music and post show set from 12:00 AM - 1:00 AM.